Elen sila lumenn' omentielvo! Welcome to my site, Ear' Quessir. 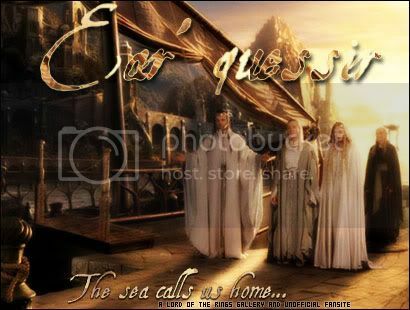 (english: "Sea Elves.") This is where I post all my new graphic work weekly. If you have any comments or suggestions by all means e-mail me at ADistantMoonAgo@aol.com. I'm more likely to take suggestions if they are Harry Potter or Lord of the Rings related. I usually have two or three added every week. Enjoy your stay at the site! This site was redone on September 7, 2004.